Switchblade knife and knife having a blade which opens automatically by hand pressure applied to a button, spring, or other device in the handle of the knife were removed from 21 O.S. Supp. 2014, Section 1272. 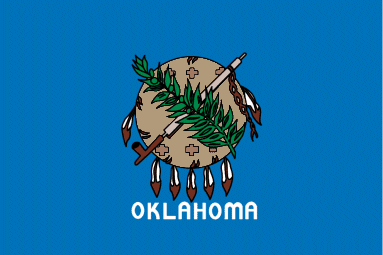 UPDATE (April 21, 2015) – The Oklahoma Senate passed HB 1911 by a vote of 43 – 0. UPDATE – (March 17, 2015) – Oklahoma HB 1911 which has passed the House has been referred to the Senate Committee on Public Safety. It’s time to contact your Oklahoma State Senator to vote to approve this bill and add Oklahoma to the growing number of states that do not prohibit automatic knives. UPDATE (March 4, 2015) – HB 1911 has passed the Oklahoma House with 70-19. Contact your Oklahoma State Senator to vote to approve this bill. UPDATE (February 19, 2015) – The Oklahoma House will be considering HB 1911 to amend Oklahoma knife law to remove the phrase “switchblade knife” and the language of “knife having a blade which opens automatically by hand pressure applied to a button, spring, or other device in the handle of the knife,” after the bill passed out the Committee on Public Safety by a vote of 9-1. Contact your Oklahoma State Representatives to vote YES on HB 1911. UPDATE (February 2, 2015) – Oklahoma HB 1911 and SB 91 have been referred to the Committees on Public Safety for their respective legislature. SB 198 has also been referred to the Senate Committee on Public Safety. UPDATE (January 26, 2015) – We pleased to report that two concurring bills have been prefiled in Oklahoma that the American Knife & Tool Institute believes better addresses concerns we expressed that OK SB 198 did not completely resolve confusion between automatics and one hand opening knives. In addition to the phrase “switchblade knife,” the language of “knife having a blade which opens automatically by hand pressure applied to a button, spring, or other device in the handle of the knife,” would be removed from by amending § 21-1272. Passing 2015 OK H 1911 and 2015 OK S 91 would better clarify what Oklahoma considers unlawful offensive weapons. Thanks to Representative John Paul Jordan (R-43) and Senator Joseph Silk (R-5) for taking up this issue. Still included as unlawful to carry (either concealed or unconcealed) would be: any dagger, bowie knife, dirk knife, sword cane, blackjack…except not prohibited are the proper use of guns and knives for hunting, fishing,educational or recreational purposes. Unfortunately, none of those knife terms are defined in Oklahoma statues. Refer to AKTI’s Approved Knife Definitions. Be sure to encourage your legislators to approve this pro-knife legislation. (January 17, 2015) – Continuing our efforts to improve Oklahoma knife laws, Senator Frank Simpson (R-14) has prefiled a bill to remove “switchblade knife” from the list of items unlawful for any person to carry upon or about his or her person, or in a purse or other container. If passed, 2015 OK SB 198 would be effective November 1, 2015. There’s just too much confusion among law enforcement and individuals about knife mechanisms and terms. And little difference in how modern mechanisms function versus switchblades. SB 198 is the common sense removal of a prohibition against a knife that is not the cause of crimes. In 2013, the Oklahoma legislature reasonably removed the term “Spring Type Knife” from the list of prohibited items in § 21-1272 of Oklahoma Statutes. See our story from 2013. The Oklahoma legislature convenes on February 2, 2015 and is scheduled to adjourn approximately May 29, 2015. That’s not much time. Encourage your legislators to support this pro-knife bill! Sooners – Sign up as a Free Grassroots Supporter to receive any email notices of Call to Action.